Will you be giving the new Krawk neopet away for free like the other pets, at create a pet, or do you have to buy a Krawk petpet to get one? 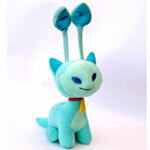 No, the Krawk is a very special NeoPet and only a few people will be able to own one. I already have 4 pets will I be allowed to have it as a 5th pet or will I not be allowed to create it? I am afraid not, you need to have no more than 3 pets in order to create a Krawk. What are the 4 retired paintbrushes? There are actually 5 paint brushes that have been retired. The Electric Blue Paint Brush, Glass Paint Brush, Speckled Paint Brush, Scritchy Sketchy Paint Brush and the Lost Desert Paint Brush are now much harder to get hold of. You said that Neopets merchandise would be across America. When do you expect to get to each state? Hopefully early on this year. By mid March we plan to be in approximately 500 retail locations across America. More details of exactly what stores and their locations will be announced shortly. Why was the Diva Starz taken away? Sponsor games are generally available for a limited period of time, i.e., the length of time the sponsor wishes to be promoted on the site. At the end of each promotion the game is either removed or changed into an official Neopets game. A new version of the Diva Starz game involving Usuki dolls will be available soon! What's the point of Not seeing your beautiful neopet with a invisible paint brush? I think that it should be retired. I mean when was the last time you saw an invisible Neopet? Well duh... if you paint your pet invisible that is exactly what it will become. You won't be able to see it at all. 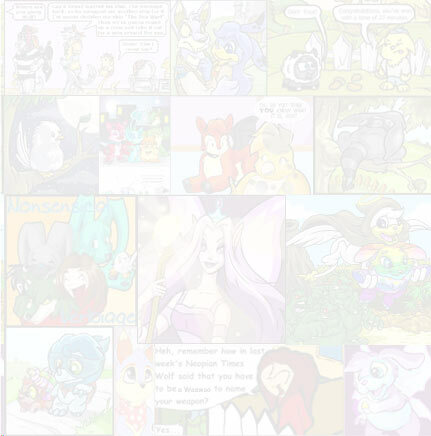 Seriously though, we are thinking of making the invisible paint brush show a very faint version of your Neopet. Now that the Glass paint brush has been replaced by the Tyrannian paint brush, what happens if I have a Glass pb? Is it automatically changed into the new one, or will it be useless? The Tyrannian paint brush is a completely new item. You will no longer be able to use the Glass paint brush to transform your Neopet, but it will be an immensely collectable item that no one else will be able to get their hands on. When will a new story/adventure be starting, like the Lost Desert or Neopets V2 ones? Very shortly, we just have a few things to finish up first, then the new adventure/plot line will begin. If you have a pet that's painted glass and you don't want it to change...is there a way? Nope, I am afraid not, all the glass pets have now been turned into rather fetching Tyrannian versions! Can you turn your Usul into a Shadow Usul?? No, the Shadow Usul is a unique character, you cannot paint an Usul with a Shadow Paint Brush. I recieved a christmas doglefox from the advent calander -- but i want it to be the regular color for the doglefox -- but there is no "Normal" or "Original" color petpet paint brush. Can I just color it what color it looked like origianally? Today I looked at my purple grundo and noticed it is spotted. I never painted it. Was it always like this and I have never noticed it, or did you just recently change the looks of the purple grundo? We recently updated it to a much more interesting shade of purple. The old purple Grundo looked a little too pink and washed out, so we added a little more colour. Why is the advent calendar only in December? It is a Neopian tradition, the advent calendar always runs from the 1st - 31st of the month of Celebrating (December in the human calendar). Will the poor neglected Lennys ever get a make over? Yes, as a matter of fact we are currently playing with some new ideas for what the Lenny out to look like. It won't be too drastic a change, but the poor little Lenny does need a helping hand. Why did you take Bullseye away? We had to take Bullseye away as it was being cheated constantly. We do plan to add a new updated version in the future, but it will not be straight away as we have a lot of other stuff to work on first. Sorry, but if you hadn't been cheating it in the first place we wouldn't have had to take it down! Well you know how u do all those polls like "Should we replace the glowing p/b with another" and "If we were to bring out a console game what console should it be on" etc, if the majority of people answer "yes" do you ever actually go ahead with that idea? Yes, we do pay attention to the results of the polls and often use them to test out new ideas that we are thinking of doing. If the reaction is positive, there is a high likelihood that we will go through with it. Its the unwanted junk mails you recieve from players trying to scam you or get you to do something. For example chain letters, fake staff, password scammers etc. It is unpleasant and that is why we are cracking down on people who send out this stuff as it makes NeoPets less enjoyable for everyone else. 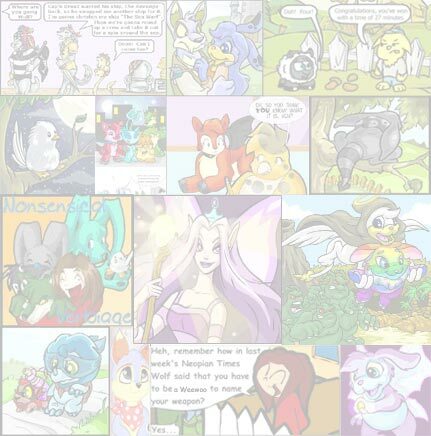 If you have a question that you think should be answered here, e-mail it to editor@neopets.com. The most common questions will appear here next week. "We're free! We're free again!" cried a small Lenny. "I think you should do whatever makes you happy."